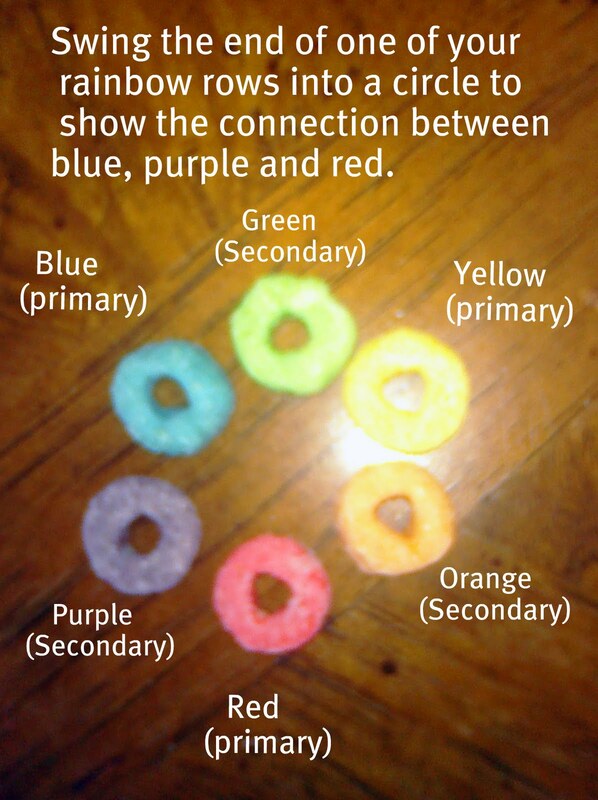 Last week I did an activity with the kids to teach them about colors. 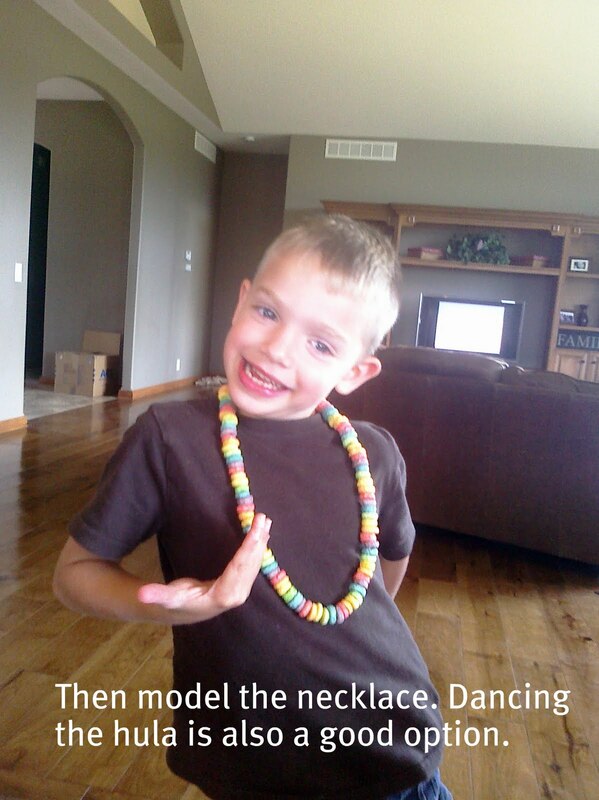 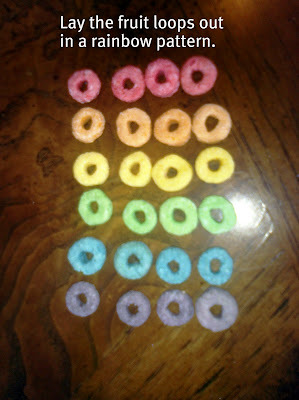 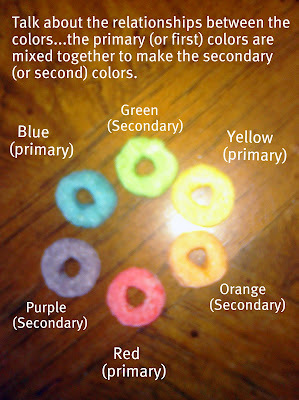 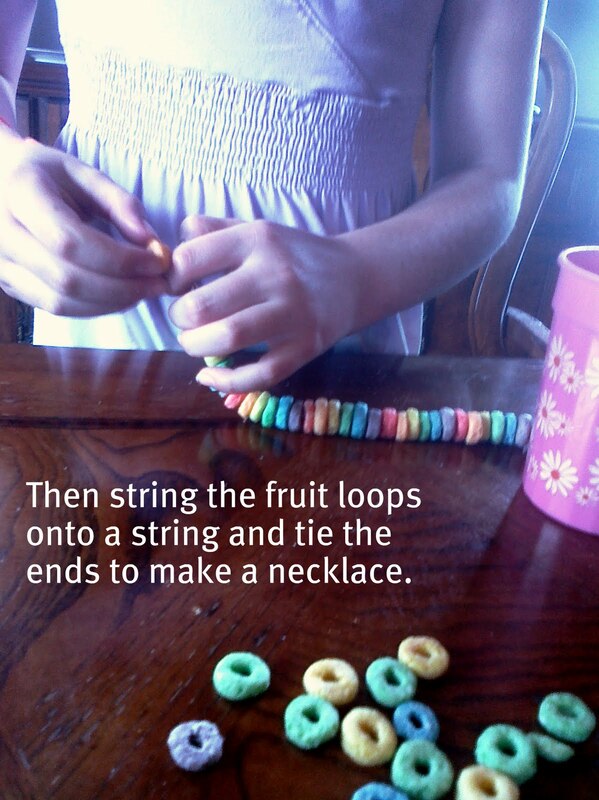 All you need is a box of fruit loops and some string cut long enough to tie into a necklace. 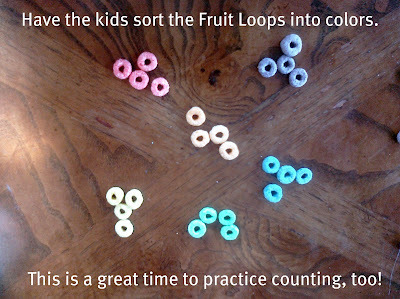 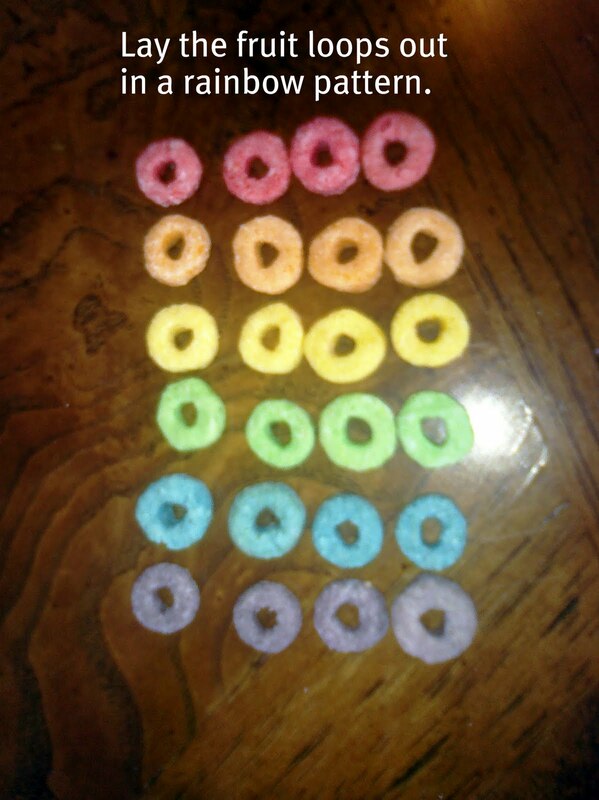 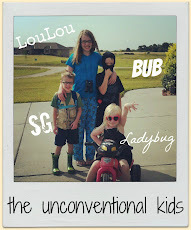 Bub and Lou were old enough to "get" the color thing but the it was also good for the little ones' fine motor skills to try to string the cereal on the string and everyone had a great time snacking. 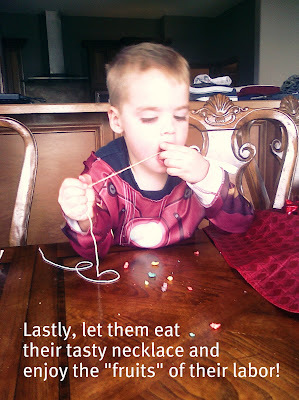 Happy learning, crafting and eating! This is a great, artistic craft right up my alley! 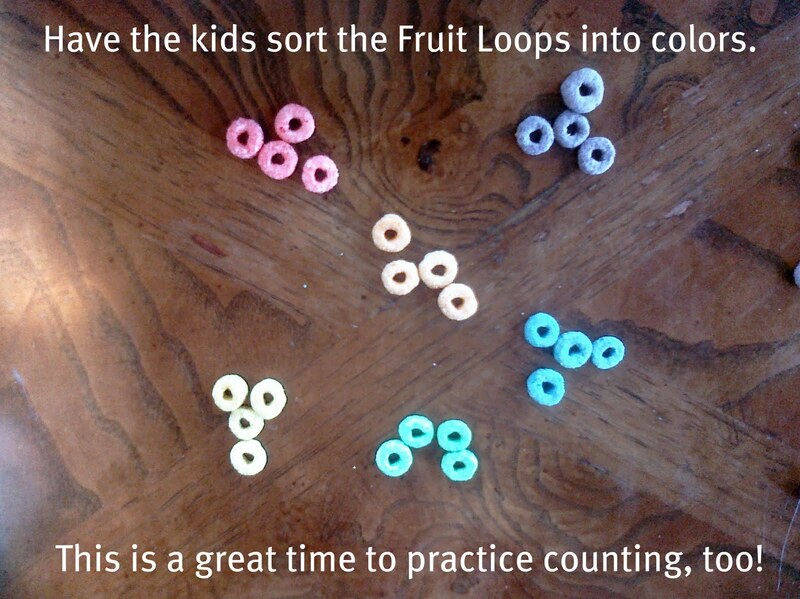 I will have to try it with the kids. Plus, I don't like Fruit Loops, so I won't want to eat the kids' snack. 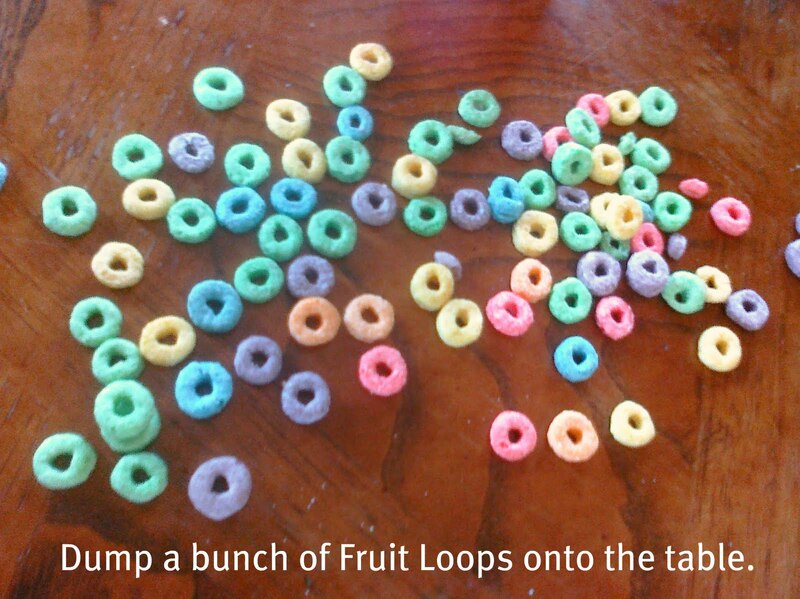 :-) Hee...hee..